The second ability is being able to see through solid objects, and can use a degree of telescopic sight. The distance and the degree of telescopic sight varies from person to person, and can be improved. In Part I, Neji Hyūga was able to see an area of 50 meters, but later he increases his visual range to at least 800 meters, while Hinata Hyūga's range in Part II stretches at least as far as 10 km. 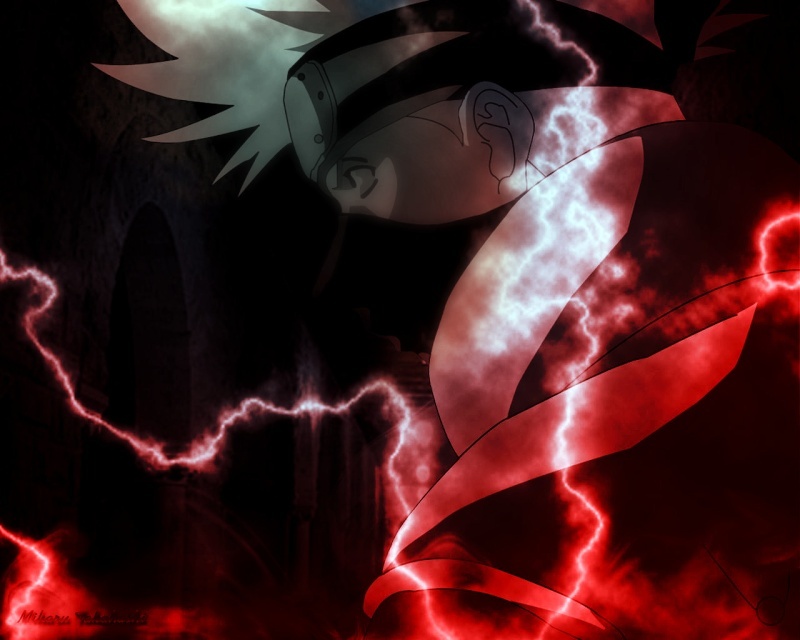 However, the Byakugan cannot see through certain barriers, such as the Four Black Fog Battle Formation used by the Sound Four. The third and one of the greatest uses of the Byakugan is the ability to see chakra, chakra flow as well as the chakra circulation system inside the body with great detail. It is from this particular ability that they are able to employ their ultimate attack style: Gentle Fist. Unlike the Strong Fist, which is focused on external injuries, the Gentle Fist style focuses on internal injuries. Each strike, when placed correctly, strikes along the chakra pathway system, which is the network of vessels that carry chakra. This network is closely intertwined with the functioning of the body's organs, and so, when the keirakukei take damage, the organs suffer as well. There is no defense against the Gentle Fist, since one cannot train one's internal organs to become stronger. The only possible defense is to stop the Gentle Fist's hits from connecting. Also, like the Sharingan and Rinnegan, the Byakugan's ability to see chakra and its flow allows the user to detect chakra sealed barriers. It was also shown in the anime that the Byakugan can also discern a transformation and a real person using the eye's ability to see chakra. Particularly skilled users of the Byakugan can take the Gentle Fist style one step further. Along the keirakurei are 361 pinprick-sized nodes called tenketsu, or chakra points. When struck, the Byakugan user can choose to either seal, or forcibly open these tenketsu, thus giving the user complete control over their opponent's chakra system. So, with precision, all those points along the victim's body can be sealed, stopping the chakra flow to those areas. Able to strike without force, and yet do more damage to a ninja than some of the most powerful ninjutsu, the Gentle Fist has been labeled as the greatest taijutsu style known in all of Konohagakure. Description: This is a Nintaijutsu technique utilized by Shinku. He will summon fire to his hand and then launch a powerful punch to their opponent. Due to the raw flames around his hand, this will cause severe burns. Description: A basic technique. Shinku will release a pulse of katon chakra from his palm. This can be used to catch the foe off guard or heat up an object. Description: This is a taijutsu technique created by Shinku. This is usually used as the first move in a fight, or a counter attack. He will pump chakra into the muscles in his leg momentarily and launch himself at his opponent, the chakra increasing his propelling speed. He will violently rotate, and during this rotation, transfers the chakra from one to leg to another, and focus all the chakra into that one kick. This technique capable of fracturing bone if concentrated on hard enough. The downside to this technique is when he rockets toward the opponent, he can only move straight. If the opponent moves out of the way, he is momentarily wide open. Description: This is a basic technique utilized by Shinku. Shinku will summon fire chakra to his palm, creating a small fire. This technique has two uses, one of them being Shinku throwing them at his opponent. Another use if Shinku focuses it into his palm rather than outside and snaps his finger, it will create a powerful spark, capable of igniting things. When it is thrown, it tends to increase power since it is exposed to large amounts of oxygen. The more it travels, the larger it becomes, and the more damage it does, capable to burning a foe severely to the third degree. Description: Another basic but powerful technique, and it is initiated by the Tiger Seal. By infusing Katon chakra into his lungs, he will exhale a heat wave from his mouth. Not powerful enough to burn somebody to ashes, once upon impact, it will cause second degree burns and smoldering. Shinku has to be close to use this technique, or else it will diffuse during it travels toward the opponent. He also has to purse his lips or else he will burn the sides of his mouth. If he releases the technique with his mouth wide open, it will be stronger and go faster, but he will risk burning the sides of his mouth.